When the Nationalists led by General Franco moved to overthrow the legitimate government of Spain in 1936, he brought over from North Africa an army of Moors. They were one of the few proper military formations in Spain, so cut a swathe across Andalusia in the first year of the war as Franco's crack troops. 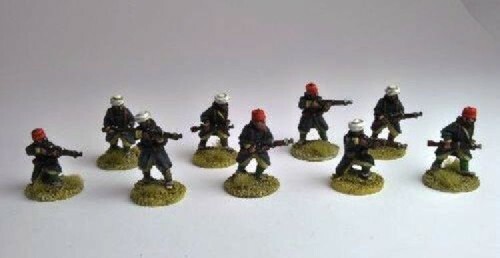 This Platoon deal gives you a random mix of 30 Moorish riflemen.